Follow this page for all of the latest information and news updates from Dycem Contamination Control. With last year ending on a high, we were all eager to start the new year hitting the ground running and looking forward to introducing our specialist decontamination floor mats to a much wider audience than ever before. Dycem prides itself on the fact that its contamination control floor mats and inhibit up to 99.9% of floor level contamination and up to 75% of airborne particles entering clean and critical areas. With the new year, comes the same promise and continued resolution that we can offer high performance, antimicrobial, antistatic and thoroughly effective and superior protection from contamination. For a list of products Dycem has to offer, whether suitable for pedestrian traffic, wheel traffic or to support segmentation needs, please view our products page. We have provided the opportunity to experience how effective our contamination control floor mats can be by exhibiting them at various industry tradeshows across the whole of Europe and this year is no exception, below you can find where Dycem have exhibited this year so far. 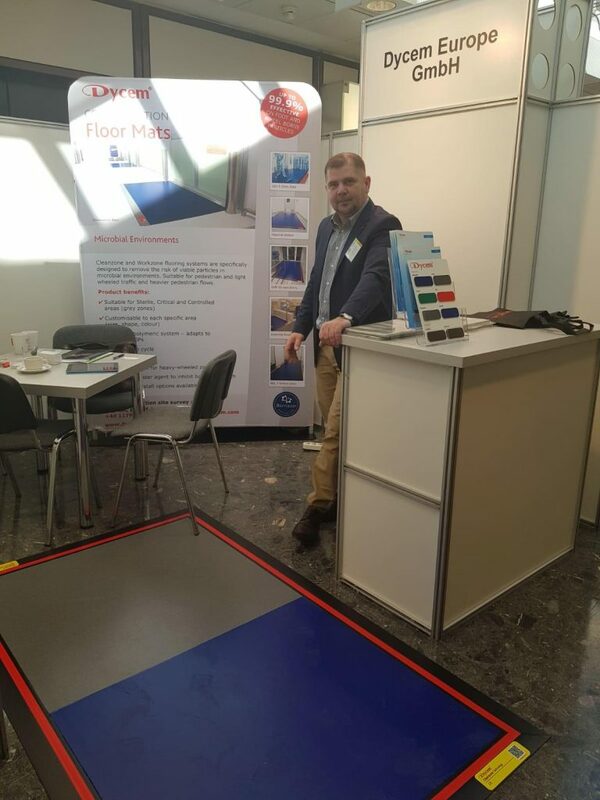 Exhibiting at the Lounges Reinraum show in Karlsruhe for the third year in a row, Dycem showcased how contamination control floor mats are an ideal solution for the Cleanroom industry, helping to reduce the risk of microbial contaminants for clean and critical. There are many rules a cleanroom must adhere to, meaning there is a great need to ensure these rules are followed. Dycem’s added ingredient Biomaster, which is incorporated into Dycem mats during our manufacturing process give our product that extra, long-lasting effectiveness against microbial growth and protection whilst inhibiting the growth of resistant bacteria. 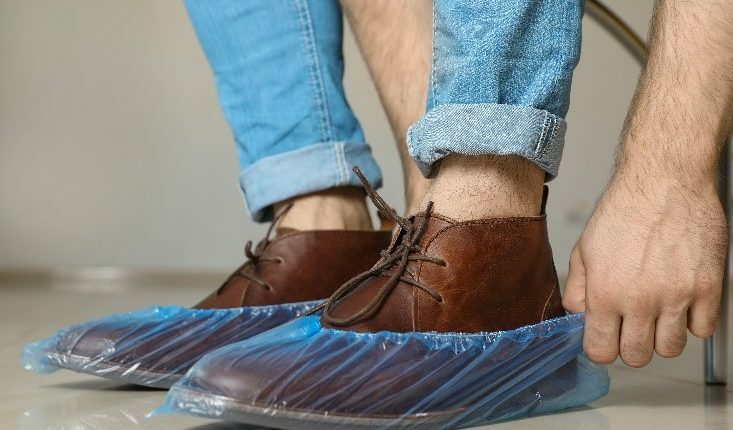 Our dedicated German team members Sandro Krivic and Sara Watson were on hand to explain the benefits of why switching to a solution which leaves no waste in comparison to other contamination control methods, such as peel-off mats and shoe covers. We look forward to attending the Lounges Cleanroom Process Show in Vienna, Austria on the 16th and 17th of October where Dycem will be situated at stand number W59. For more information on the Dycem in German-speaking countries. Please email kontakt@dycemkk.de or call +49 (0)69 50604430. In Budapest, Dycem’s flooring solutions were also on show as our representatives from Eastern Europe took part in the Pharm Connect Exhibition. Pharm Connect Congress each year brings an overview of the Central Eastern European trends and impacts on the pharmaceutical manufacturing and biomedical technology world. Dycem’s Stanislav Konvalina and Anna Karoui met with audiences, to discuss how the pharmaceutical and biotechnology industries could benefit from the use of inhibiting up to 99.9% of contamination entering their clean and critical areas in pharmaceutical facilities. Speakers at the show included Dr. András Ballagi, Chief Technology Officer at Diagon and Associate Prof. Dr. Ildikó Csóka Director of the Institute of Pharmaceutical Technology and Regular Affairs. On average, 17% of total health expenditure in Europe is spent on Pharmaceuticals and other medical non-durables, meaning there is a massive need for the products created to be of top-quality standards. If you are situated in Eastern Europe and would like to try a free sample of Dycem floor mats for your industry or more information, please contact us today at Contact@dycem.com or on +44 (0) 117 9559 921. Data Centre World in London brings future and vision to all aspects involved with the Data Centre industry. 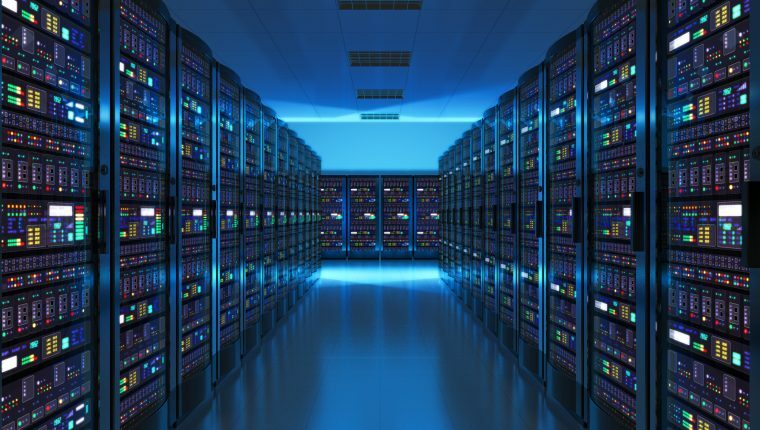 Dycem works with data centres on a variety of levels, protecting server rooms, server- and rack entry and exit zones from contaminants such as dust and dirt and ensuring the reduction of up to 75% of airborne particles being released into the atmosphere. Which can cause severe problems. Data centres have to follow certain regulations to monitor and control the level of contamination and dust entering their rooms. Dycem mats also have the ability to reduce the risk of Electronic Static Discharge , another risk that Data Centres have to consider so that they avoid downtime. The second time exhibiting at this event gave us the chance to delve further into the world of data centres and encourage visitors of the show that Dycem’s flooring solutions are a better and more sustainable solution to ensuring protocol is maintained to required standards. Whilst at the show, Head of UK and Ireland Sales Jamal Al-Doori and Marketing Manager Mike Trevelyan demonstrated the various options available to Data facilities. 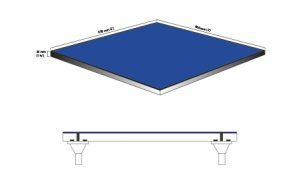 These included Dycem’s Cleanzone solution, which can be a fixed or floating option and our CZ04 Access floor tiles, which allows for easy access to the cabling underneath the floor space. For more information on how Dycem floor mats could help your Data Centre please contact us at contact@dycem.com or call +44 (0) 117 9559 921. ContaminExpo is the flagship show for France when it comes to all things in the cleanroom and pharmaceutical industry. Taking place in Paris, it played host to a wide range of exhibitors and visitors from various parts of Europe, with a congress and a large exhibitor space both taking place at Paris Porte De Versailles. 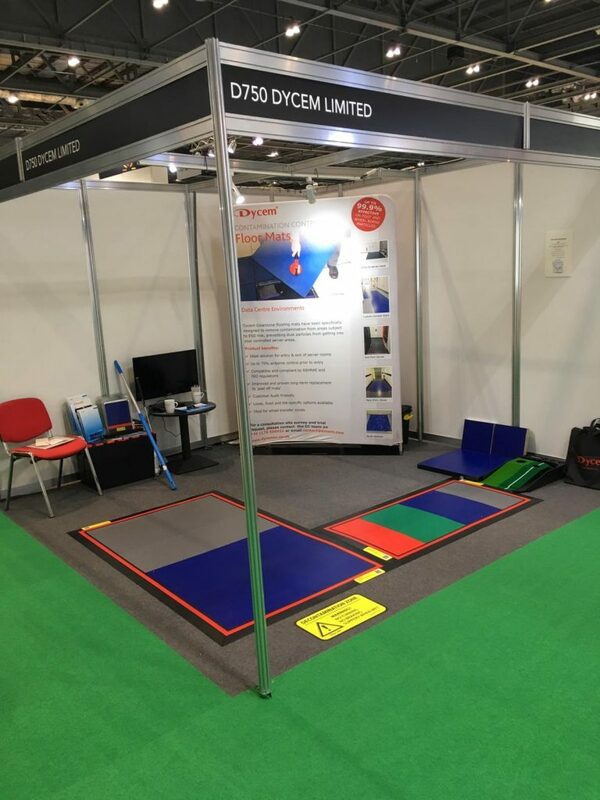 Dycem Floor mats were on show at stand F16 where we offered the opportunity for visitors to interact with our Team France members by taking part in the Dycem France Golf Putting challenge. 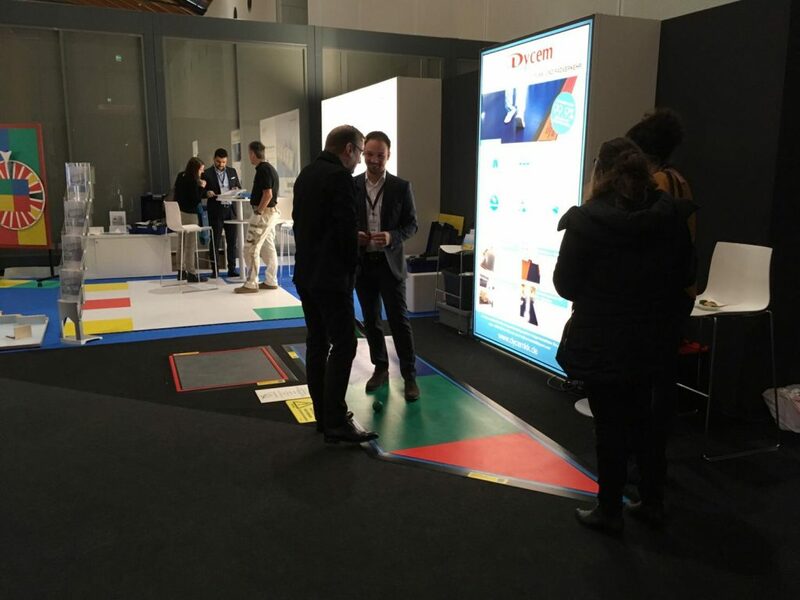 Using a Dycem Floating system as a putting green, the team of Stewart Hyde, Thibault Derivry and Cedric Francoise were on hand to challenge visitors with the aim of demonstrating Dycem’s functionality, to win a very special prize – a mat to take back and trial in their own cleanroom or controlled environment. 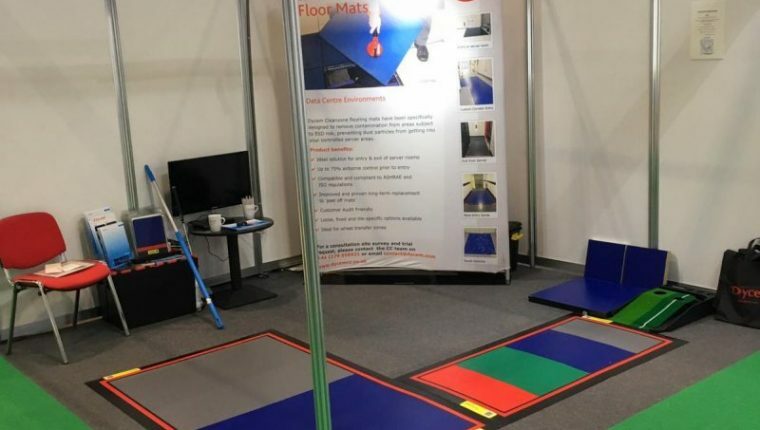 As displayed in the video, our contamination control solutions are available in a variety of colours, and sizes providing customers with the option of being able to customise their flooring solutions to suit their decontamination needs. For further information about Dycem in our French-speaking countries please contact us at contactfr@dycem.com or visit www.dycemcc.fr. If you are visiting a show where Dycem is exhibiting in the next few months, come and find us! Dycem will be exhibiting at the Cleanroom Technology Conference in Birmingham, UK, taking place on 21- 22nd May at the National Conference Centre. Dycem Europe GmbH will be heading to Geneva, Switzerland from June 18th – 21st, as they take part in EPHJ Salon International at the Palexpo Exhibition Centre. Dycem will also be heading to Galway Racecourse to take part in Medical Technology Ireland from September 25-26th. We look forward to seeing you at all of our upcoming events! 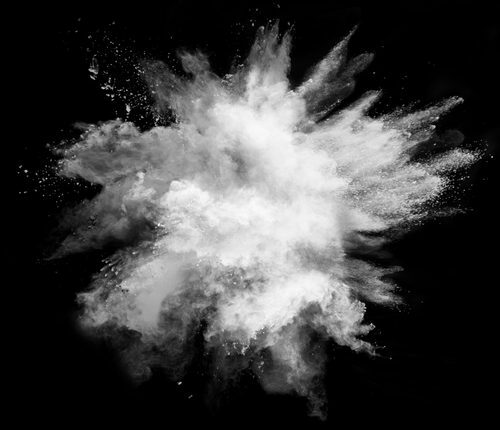 Dust explosions remain an under-reported issue, but a very real concern in the pharmaceutical and chemical manufacturing industry. Combustible or explosive dust can be described as any finely divided particulate solid, which presents a fire or explosion hazard when dispersed in the air. The powdered and granulated ingredients which are central to pharmaceutical and chemical manufacturing processes are naturally prone to creating dust, which can become airborne. Once the airborne dust is captured at its source, it must be effectively contained. This reduces the risks of a further, more devastating dust explosion, and reduces the risk of cross-contamination in sensitive products. ATEX zones are critical areas subject to high volumes of dust or gases, in which an explosive atmosphere could occur during ordinary operation, or through unattended risks. ‘ATEX zones are risky due to the high concentration of flammable dust and powders in a confined environment, combined with reduced humidity rates and high or low temperature levels,’ explains Andrea Catellono of A.C. Supply. 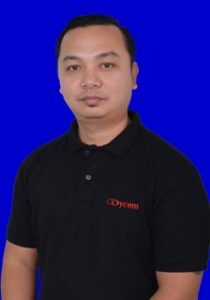 We recently caught up with Electrostatic Discharge specialist and Asia Sales Director, Jhun Yparraguirre, who has worked closely with Dycem to help international businesses in Asia, including Samsung in Indonesia with their queries surrounding ESD. Many Electronic manufacturing companies have an important use for expert advice such as Jhun’s, when it comes to ensuring they get the best possible facilities to manufacture their product successfully. In simple terms, how is Electrostatic Discharge (ESD) generated? Is it difficult to control wheeled traffic in an ESD environment? JY: “No. As long as your flooring is ESD safe then it should be easy for you to control. Know your flooring system, and whether it is conductive or static dissipative, as the resistance values are different. Once you have ESD flooring, make sure that your carts are made of stainless steel. Metal is a good conductive material. What types of contamination are likely to trigger ESD? Where do they come from? Can you differentiate the two? How important is it to control ESD in an electronics facility, and what kind of impact does it have on everyday operations? How does ESD threaten product quality? Are there any other dangers involved? JY: “Devices become more sensitive to ESD as technology advances. Device geometries are made smaller to increase density and electronic/storage capacity. The more wafer-sized the component, the greater the capacity to store charge. What are the biggest contamination threats facing electronics manufacturers today? How can these risks be prevented, and how does Dycem help to reduce the risks? JY: “Dycem is a good contamination control solution, as it restricts 80% of the gross contamination source (dust and bigger particles) from entering critical environments, which is mostly found on floors. Furthermore, Dycem is a flooring system that does its job, by trapping the particles so that they are unable to enter critical environments. 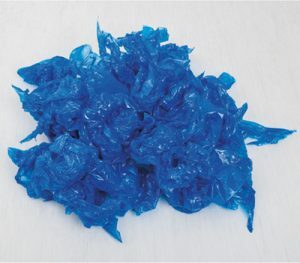 Dycem can withstand overstriking due to its suppleness and natural tackiness. Before cleaning, dirt will stay on the surface of the flooring system, which is good because it will therefore not be cross-contaminating with other areas. 20% of gross contamination is airborne, and Dycem has the van der Waals properties which possess a short electromagnetic force that attracts particles towards the surface of the Dycem polymer. Click for more information about how Dycem has helped the Electronic Manufacturing Industry. A large number of world-leading organisations, such as Continental, ROHM, Techrepair, Micronit and Saab, have all implemented Dycem’s anti-static flooring for its static control benefits. ESD (Electrostatic Discharge) flooring absorbs static electricity which can otherwise harm electronic components and cause catastrophic equipment failures. 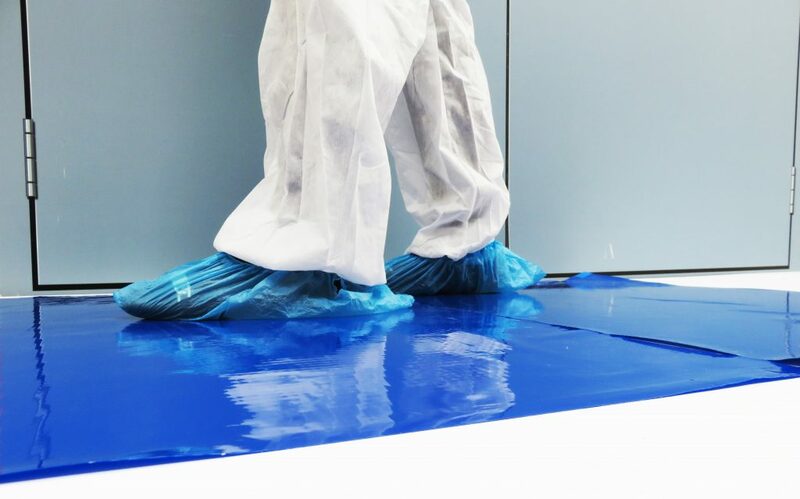 Where typical ESD or anti-static flooring solutions only tackle static discharge, Dycem contamination control flooring traps it, and neutralises it. The other benefit that comes from implementing Dycem flooring as a static control measure is that it is able to trap and retain particulate matter to prevent further failures from occurring as a result of dust and dirt contamination. IT industry research has concluded that up to 70% of computer-related breakdowns are caused by dust and other debris. If ignored, it can cause widespread damage in data centre environments. People are a major source of contamination, transferring dust and dirt from their clothes, and especially shoes, into critical environments. 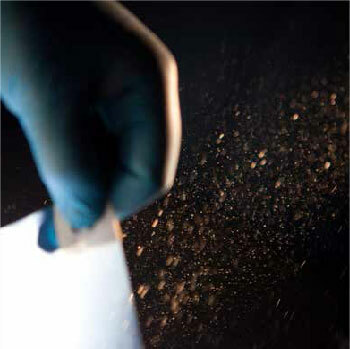 When placed at entry points to controlled zones, Dycem creates an unavoidable barrier for large particles, which can otherwise create static through dust. In addition to a range of fixed contamination control solutions, Dycem’s anti-static Access tile range helps to reduce data loss, hardware failure, dust explosions and zinc whiskers by preventing dust and dirt from entering your system. Available in two options, Dycem can be easily and quickly installed in your facility with your exact contamination control requirements in mind. The inlaid access tile, containing pre-applied Dycem, replaces your existing tiles, forming an ideal option where a seamless flooring solution and regular access to cabling is required. The retro fit access tile can be easily and quickly installed on top of your existing tiles and comes with a complete outer edging system to allow unnoticeable transition on and off the tiled area. If you would like to discuss contamination control options for your facility, simply get in touch for a free site survey today. 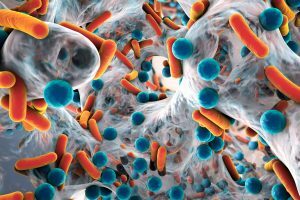 Listeria can pose a huge threat to human health and the food production industry. Recalled batches can damage a company’s reputation; reduce consumer trust and ultimately, death for high-risk consumers. Increasingly, consumers are more aware of the health benefits of consuming more fresh food as opposed to highly processed options. However whilst this is of benefit to health, consuming untreated produce is a leading contributor to foodborne illnesses. There have been large numbers of recalls in recent weeks due to possible risks of contamination of Listeria monocytogenes. The FDA website lists the recalled products and these instances have led to a greater understanding and acceptance of the need for more efficient pathogen control strategies. The microorganism’s adaptations have enabled it to persist without the need for a host. As such, it may exist in decaying plant material or freshwater ecosystems, but this is currently not wholly understood. From these locations, it’s possible for the microorganism to enter the food processing environment and subsequently enter packing plants following harvest. As 16% of listeriosis cases are fatal, this is clearly something to be addressed. Inadequate cleaning and sanitation of equipment at a packing plant for cantaloupes (in 2011, USA) was linked to post-harvest contamination of the product, as the pathogen had not been isolated from field samples. 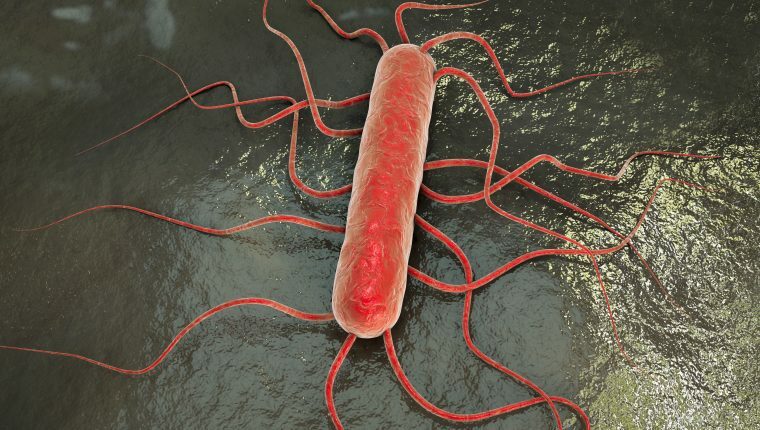 The article states that there were 147 cases and 33 deaths associated with this outbreak, as such, it remains the largest listeriosis outbreak on record. The processing and packing stage is associated with the highest risk for contamination of fresh produce. This presents an opportunity for prevention and control measures. 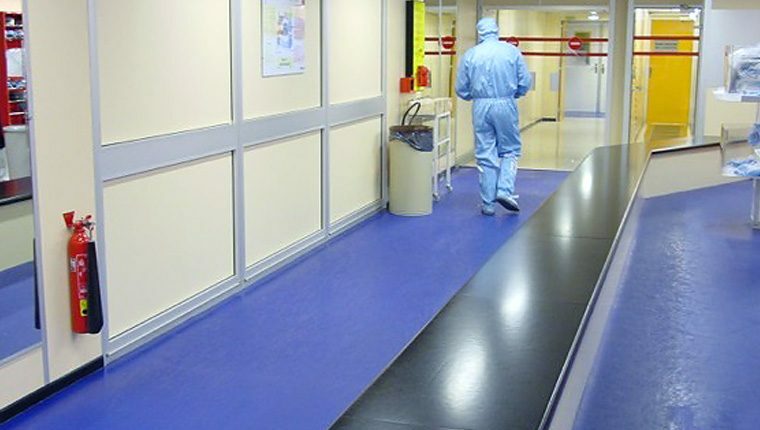 Dycem contamination control flooring has helped to eliminate the growth and spread of Listeria in critical food production areas by up to 99.9%. 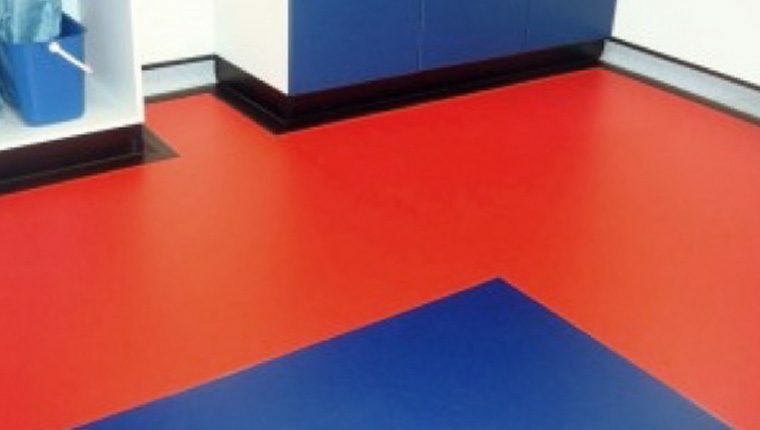 An example of this was when Dycem provided a two-toned flooring solution to Rikshospitalet kitchen, a company who provide meals to Oslo’s largest hospital. The flooring solution was two-toned, highlighting a clean and dirty side, indicating to employees where outdoor and indoor apparel must be worn. In such a busy environment, it was integral that precautions were undertaken in order to minimise microbial counts and contamination to food. Discover how Dycem can help you. Dycem’s two-tone systems have proven an extremely popular way to inhibit contamination growth for our customers as a way of improving their Standard Operating procedures, making them an ideal system and solution for sites with heavy traffic, and strict auditing bodies. Could your site benefit from a two-tone system? • Simple workflow areas identified by colour coded Dycem, ideal for clean rooms, gowning areas and heavy traffic areas. • Easy to keep clean, and highlights how well Dycem is working at retaining dust and dirt. • Improved awareness from your staff that they are entering a critical access point. • A full traffic light system can be used to identify different area classifications. The two-tone is effective in almost every application, whether you use a clean room, air shower or a wet cleaning system. At Micronit, Netherlands, A two-tone system was created and installed wall-to-wall in the facility’s changing booth, to ensure that the Z-Effect traffic flow was safely contained. ”I had been looking at Dycem for a number of years”, says Tom Hassing, COO of Micronit Microfluidic, “and due to demand, it was well worth the wait.” Micronit now has a sustainable system for their contamination control needs for three years or more. Other examples of a two-tone system have included up to 5 different Dycem colours being selected to improve Standard Operating Procedures. If you would like to discuss our two-tone options, contact your local representative or for general enquiries. We have all heard of the term pasteurisation but do you know where that term comes from, and the processes involved in pasteurisation? Did you know the huge impact that it had on the wine industry, which it effectively saved? The father of the process for whom the term was coined is also credited with other remarkable feats such as saving the silk industry in France and helping to eliminate diphtheria. So who was the man who has effected forever the way we produce food and beverages? 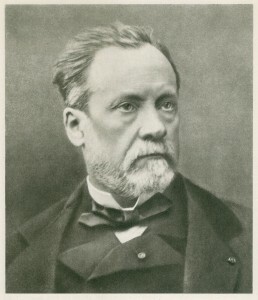 By the time Pasteur was approached by Napoleon III, he has already paved a road into microbiology, starting his career at the University of Strasbourg in Chemistry. The wine industry in France was facing great setbacks as their produce, which was world renowned and sought after, would deteriorate during transportation and eventually spoil. Napoleon III asked Pasteur to look into the issue, after becoming notorious due to his ‘Germ Theories’ which were at the time thought to be extremely controversial. “In a series of careful experiments, Pasteur discovered that heating wine to 55 degrees killed bacteria without ruining the taste. This process, later named pasteurisation, saved the wine industry, and cemented Pasteur’s fame. Today, it’s widely used to keep food free from disease.” BBC.co.uk, Louis Pasteur: The man who led the fight against germs. Pasteur was well known across France at this point due to his extensive works. A disease was rife across the silk industry that affected the silk worms themselves and he was asked to look into what had baffled so many others. Along with his wife Marie, Pasteur realised that the issue was in fact a parasite that caused infection in the insects and went on to teach industry workers that infected worms should be extracted from the rest and destroyed. However, the brilliant career of the Father of Microbiology was not always reflected in his health and personal life. At 45 he suffered from a stroke which left him partially paralyzed and of his 5 children only two would make it into adulthood. Perhaps these tragedies made him more determined in his work; one of his daughters died in 1859 of Typhoid, which is caused by contaminated food and water. After his stoke he continued to work from a laboratory that was set up for him by his colleagues, determined to continue his great discoveries. If “family tragedy framed his fight against illness” his resolve to work helped achieve his final victory. Pasteur is quoted as saying “the only thing that can bring joy is work”, a reflection of his devastating personal loses and his will to overcome them. Peel-off mats, are you still using them to protect your controlled or sterile environment? Are they not working the way you’d like? Have you thought about a non-disposable option? Many businesses are now choosing to switch to a longer-term solution than peel off or tacky mats, not just because of the environmental implications. Dycem Contamination Control floor mats service various companies in the Pharma, Biomedical, Nutritional, Packaging, Healthcare, Electronics, Optical sectors, as well as many more. 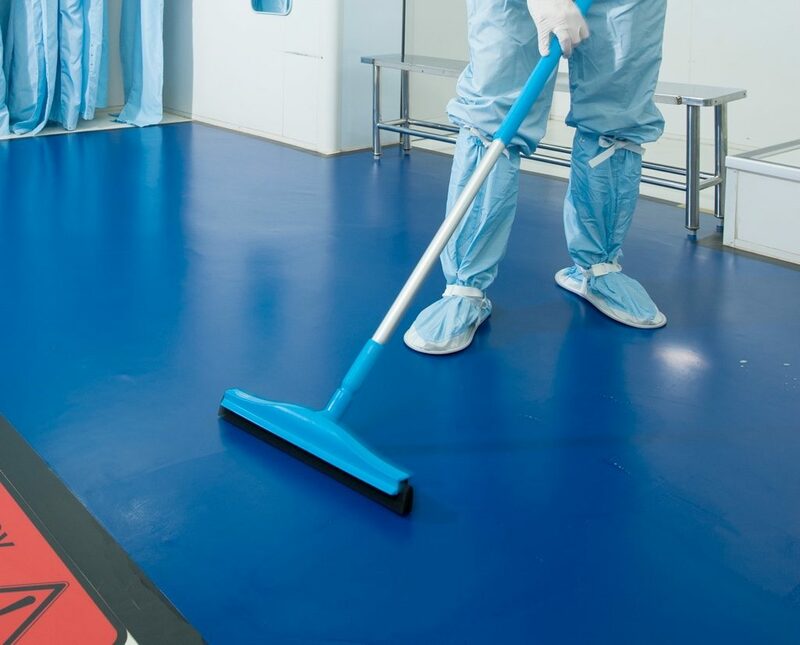 Contamination Control-Zoning and coverage are two factors for the flooring in many establishments that have cleanrooms or facilities requiring protection from contamination. 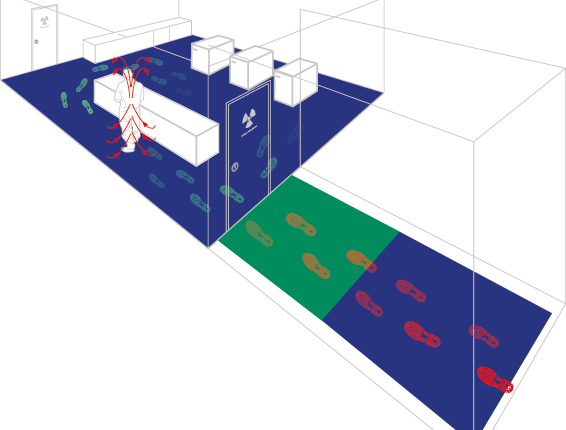 Having clear visual communication technology that signals the difference in areas in changing rooms, entrances and hallways can help to encourage better practices, avoid human error and actively guide footfall to allow for the maximum possible decontamination of foot & wheel traffic. This is not just vital in Pharmaceutical or Biomedical facilities. 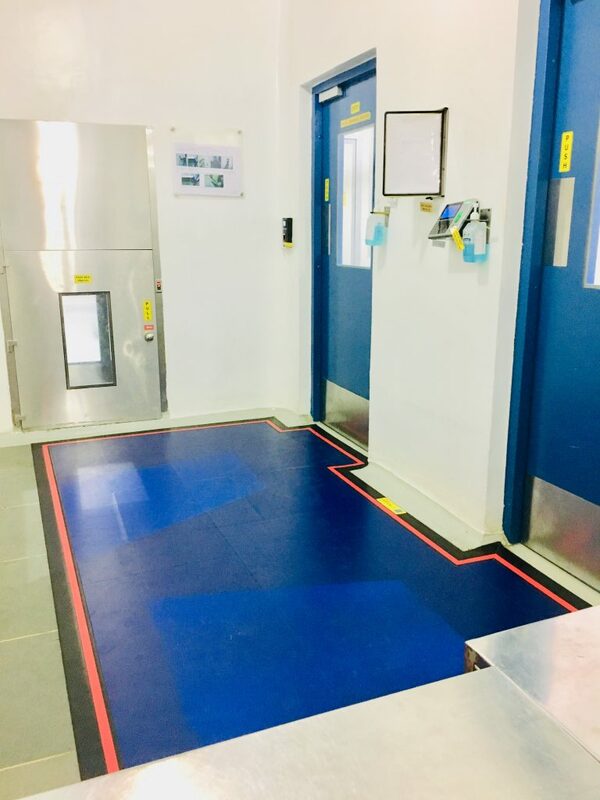 Even for food processing and packaging facilities there is a clear need to mark out areas where staff must pay additional attention to their hygiene. Our floor mats fully customisable. Dycem can be customised to reflect not only the differences between zones through the use of colour but also with VCT to guide footfall, company logos/branding and custom edging to suit all needs. The flexibility of Dycem products also extends to size. 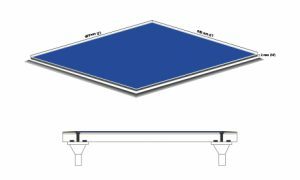 Because Dycem can be a fitted long term solution, or a customisable mat available in a number of sizes, there is a Dycem solution designed to meet the needs of your facility. Do peel off or tacky mats effectively cover your entrance/exit points between controlled areas? Are you getting 3 full footsteps in order to remove the maximum amount of particles? If the answer to all these are no, then Dycem is the solution you need. The daily peeling of mats can make your standard operating procedures complicated and time consuming. Not only do daily peels require the attention of a member of staff, they must also be disposed of properly and safely. Dycem CleanZone and WorkZone floor mats are a washable flooring solution, which are easy to clean. Less waste to manage, better for the environment and less time consuming. All of our products are protected by Biomaster; a silver ion technology that actively inhibits the growth of bacteria. Our custom made and washable systems can easily be built into your protocol, to simplify your SOPs and provide a complete and sustainable zonal concept. No more daily peels and complicated disposal procedures. With Dycem you have total control. Interested in Dycem? Call today on +44 (0)117 9548 721 or email us at contact@dycem.com and your enquiry will be directed to your specific Dycem representative. When ‘controlled environments’ are discussed, for most people a Hazmat suit and air looks will spring to mind; brightly lit facilities with strict SOPs and rigorous cleaning schedules to stop the pollution of sensitive products. So it may come as a surprise to many that auto manufacture facilities can also be classed as controlled environments, and that the same SOPs that apply to clinical trials or drug processing are often applied to building and spraying cars. 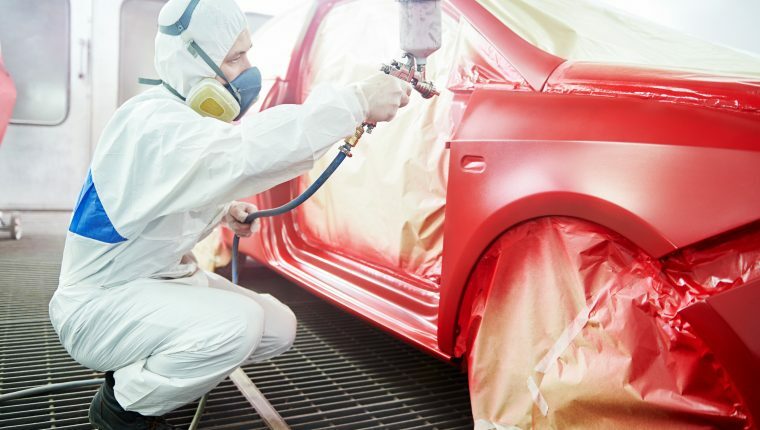 Firstly, particulate contamination – such as dust and debris reaching the spray painting area and areas where parts are prepared for painting. When a consumer spends thousands of pounds on a brand new car, the finished result is expected to be perfect. Dust and particles getting into the paintwork may not only damage the aesthetics, but can also cause gaps in the paintwork which would eventually lead to water reaching the chassis/body underneath and rusting to take place. Great lengths are gone to by auto manufacture companies to make sure that these pollutants, which are often air bound or are bought in on the feet and wheels of employees/trolleys, can be removed from the environment in much the same way as a laboratory or other sterile zone. You can see an example of SAAB, a major player in the auto manufacture industry, using a floor level solution to reduce air borne contaminates here. The second issue is electrostatic discharge, a problem that has been prevalent in the technology industry, as the development of electrical items has rendered them more prone to damage by electro-static. If you want to find out about ESD in detail, please check out our other blog post here, which is a comprehensive overview of ESD in electronics manufacturing. Electrostatic can cause issues with car electronics in the same ways as for the manufacture of mobile phones, computers, radios and more. Check out our Continental case study here, and see how we have helped global brands to combat ESD. Positive and negative charges are stored in materials and carried by people. 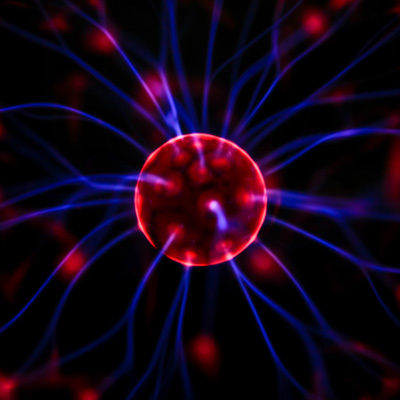 The human body is capable of storing a charge up to 25,000V. This charge is then dissipated (Electrostatic discharge) through the receiving object as the current seeks an unimpeded path. An object’s metal chassis will often act as the conductor for the static to strike, but it can occur through other materials. Static control is especially critical in the manufacture of electronic assemblies and components such as circuit boards and semiconductors. As it is almost impossible to avoid static-generating actions the best way to avoid damage to ESD sensitive equipment is to create an environment that inhibits the build-up of static. Dycem’s contamination control floor mats, which are proven to dissipate static at 108 ohm and reduce the damage it can cause. Dycem WorkZone has been specially designed to be an effective wheel contamination control method for areas subject to heavy wheeled traffic. 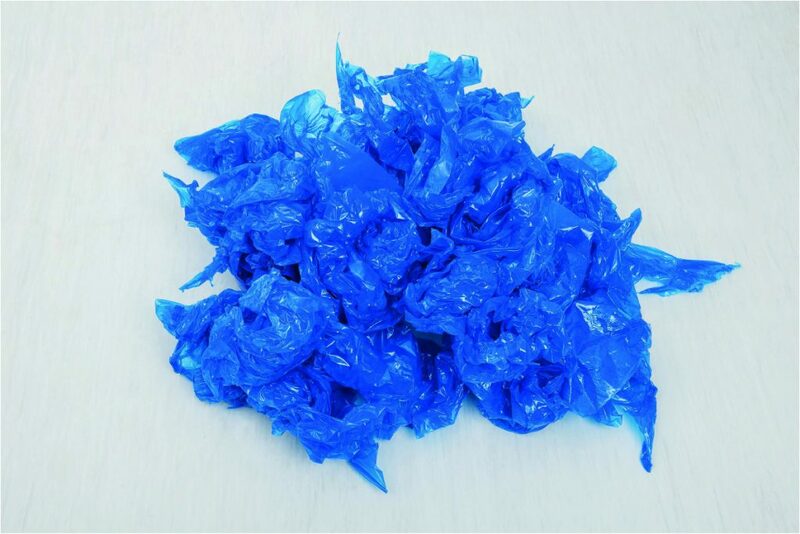 it is the best solution for heavy wheeled traffic as it effectively attracts, collects and retains contamination from the wheels of forklifts, pallet trucks, as well as preventing static and ESD. WorkZone is a scientifically proven solution and our trusted customers include Continental, Visteon and ROHM Electronics. We can support your contractual needs, and provide an efficient contamination control system for your ESD control.